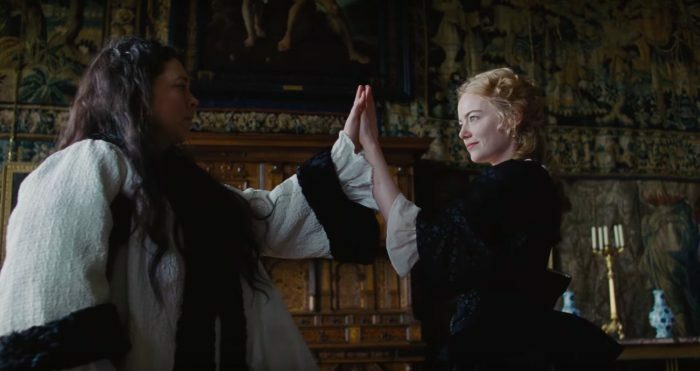 Set in early 18th century England, Emma Stone (Abigail) and Rachel Weisz (Lady Sarah) compete for the affections of a gullible and ailing Queen Anne played by Olivia Colman, in Yorgos Lanthimos-directed period drama of deliciously witty and salacious proportions. When a new servant Abigail arrives, Queen Ann is magnetically drawn to her strategic charms, advancing a delightful game of scheming ambition for power over the aging monarch between Lady Sarah and Abigail; absurdly framed by war between France and England. 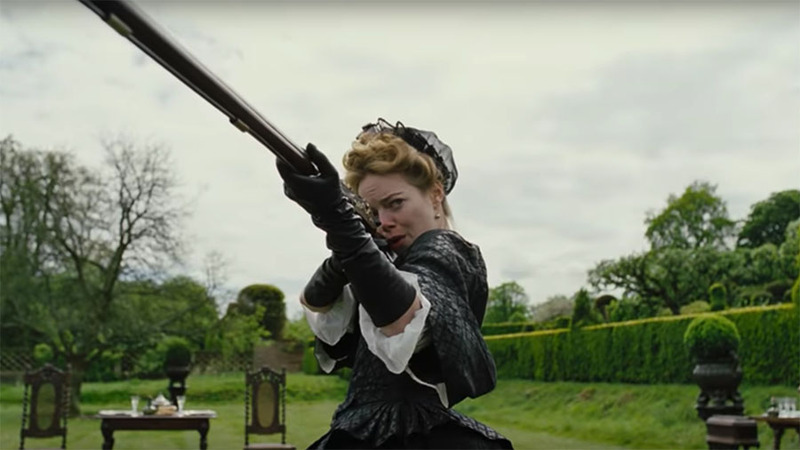 The Favourite picked up two honours from the Venice Film Festival: Winner of the Grand Jury Prize and Best Actress for Olivia Coleman’s performance as Queen Ann. Lanthimos discussed his sumptuous baroque melodrama at a press conference during the 2018 Venice Film Festival. YL: I was initially attracted to this film when I came across this story of one existing original screenplay and I got acquainted with these three female characters, which happen to be real people. I also liked the fact that it was a period film. I hadn’t done one up to this point. I think doing a period film creates some kind of distance, that allows you to see certain things more clearly. This is a world of women and the loves and intrigues of women. How did you balance this as a film of history? Ann was a queen and her every choice had a consequence on history, on war, and power. How did you find that line where the two worlds: the historical world and the private world of these characters meet? YL: I think it was very clear from the beginning that we wanted to focus very much on these three women. Most of what you learned around the politics, and the war, and the decisions—was mainly seen through them. And we also tried to simplify, to the extent that, you didn’t have to go to great lengths for people to understand what’s going on, because, again, for me; the most important thing is to understand or observe how these very few people, depending on their opinions on specific decisions, even depending on their mood during a day, can make decisions that affect the lives of thousands or millions of people. And that felt like something universal and timeless. Can you discuss the way in which you depicted the distortion between their world and the world outside? YL: Yeah so, well, the way you film something, I guess, firstly depends on your personal tastes and views on how something feels right. It’s very instinctive. And I’ve been experimenting and using more and more wide-angle lenses and a specific way of filming in my latest films. I guess that I felt that this was an appropriate film to go even more extreme—possibly because of the reasons you just mentioned—that it was important for me to show the contradiction visually, as well, between these relatively lone figures in these huge spaces—those few people making decisions that affect millions of others and the lives of others. So, that kind of juxtaposition of the small figure within the grand distorted spaces felt right for this film. I guess it’s not common to see period films filmed this way. But, at the same time, it felt period-appropriate. There are paintings of even earlier centuries with convict mirrors on the walls, that you see in the distorted spaces. So, at the same time, it felt contemporary and appropriately period. Can you tell us about the production design you created with Fiona Crombie? YL: Most of the locations we used were real locations. So, I guess what we tried to do is move most of the stuff out because after all these years, all these places are full of stuff from different periods and they seem quite heavy. The other reason for that, that was like with every other element of the film; what we were trying to do was focus mostly on these three women and making the spaces quite empty and relatively simple, which helped to try to achieve that goal. It’s a film which is quite contained and it takes place in only a few spaces. But I guess the way we filmed them kind of contradicts, and at the same time enhances, the claustrophobic feeling of them. It can’t be comment on hashtag #metoo because it started nine years ago. But do you mind that it could be seen as a reflection of #metoo? YL: Of course, I don’t mind. But, obviously, we can’t take credit for something like that because, as you said, it did start many years ago. I think the positive aspect of this film is that it does again focus on three female characters, which is rare. So, I guess, the positive aspect of this film is that we tried, in our contribution, if I can say something like that—our small contribution is that we just tried to show them as complex, and complicated, and wonderful, and horrific as they are—like every other human being. What is the meaning of the last image where Olivia and Emma’s image intertwines with the rabbits? How do you see this relationship between animals and people? YL: Well, there is something between animals and people, obviously. I don’t know what it is. I guess, what I’m interested in with animals (is), I find that we have a very weird relationship with animals. There are those that we love, there are those that are our friends, there are those that we kill in order to eat, there are those that can be killed at a certain period in time, but not others, in certain countries, but not in others. I find it quite a strange baffling relationship that we have. So, I guess, I’m interested in seeing them interact: humans and animals. 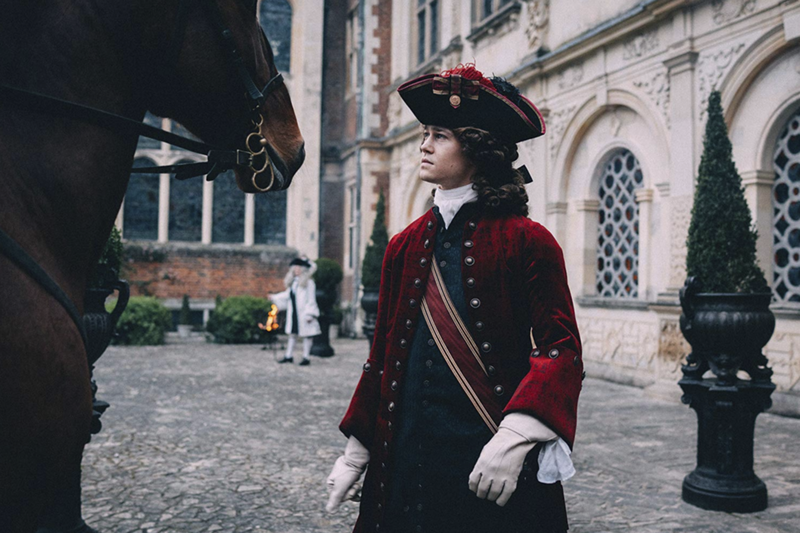 The Favourite will be released in cinemas, starting in the US from the 23rd of November.